In last couple of months, the fidget spinner- the small mechanical wonder has made the young and the old alike go crazy across the globe. Within a couple of weeks of the spinner becoming famous and making it to the headlines, it was available in bulk and at dirt cheap prices through almost all retail channels. 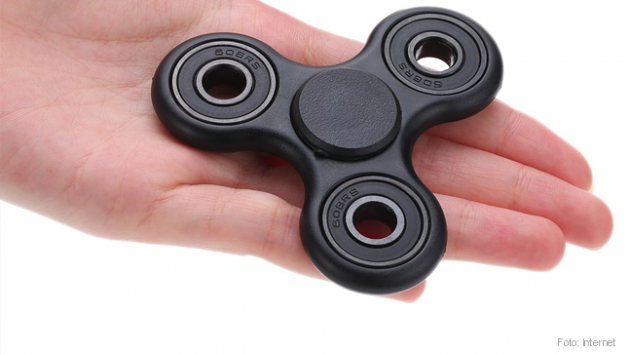 All the e-commerce portals and toy stores were flooded with millions of Chinese made fidget spinners. Almost at every major traffic intersection in Delhi and other cities of India, the hawkers were selling the spinners like hot cakes. While the popularity of this small mechanical gadget is definitely something to be astonished of, the is something much bigger associated with it that commands ‘awe’. What amazes me the most is that how within weeks of the toy becoming popular, the Chinese factories took the design and started producing the toy in millions by the day. Not only was the speed of understanding the design, making dies and final manufacturing lightening fast; even faster was the shipment of the final product to hundreds of thousands of markets/locations across the globe. While Chins is considered to be a giant when it comes to manufacturing, the fact that it has been able to maintain its ‘lightening fast’ go-to-market speed deserves respects even more. I have always used MakeMyTrip to book my flights. Believe me, I always had a wonderful experience and never faced any challenge for booking, rescheduling or cancellation of my tickets. Over the last one year alone I would have booked about a two dozen national and international flights via MMT. MMT guys would call or mail me all the time to share details of new services, packages and discounts introduced by them. Everything was wonderful till last week. This one experience lost all the credibility and trust that MMT had built with me over last 6-7 years. I had a Mumbai-Delhi flight on 10th February. One day before the flight, it was cancelled by the airline (GoAir). I was given an option by the airline to opt from the other flight options from the same airline or get a refund and book my own flight. I opted for the refund. On 13th February I got a mail from the airline that the refund has been made to the account of my travel agent (MMT). I trusted MMT to credit the amount back to my account. By any logic, I should have either got a refund in my account or at least intimation from MMT that the airline has refunded my money and is lying with them. I trusted them. But, I was wrong. A few months passed and I booked a few more flights using MMT but never cared to check on the refund (my mistake, I should have). Meanwhile MMT folks would have mailed and called me numerous times to sell new packages, a co-branded credit card and scores of other things. But, only one thing they never told me on call or mail was that some of my money was lying with them. Last week, don’t know why, I thought of checking my mails and bank account/credit card details to spot any refund by MMT. To my surprise, there was none. I called up the customer care to check on the refund and they agreed that the airline had refunded an amount of INR 7,846 for my cancelled flight on 13th February. On asking that why did the company not refund the amount back to me for almost four months when they had my money, I was informed that the customer has to initiate the refund against a cancelled flight and not MMT. Okay, I got it! I tried to reason with the customer care team and their bosses that between the day the airline credited the refund to MMT and when today I called, MMT made tons or calls and wrote scores of mails to me, but never cared to intimate me about my 7,800 plus rupees lying with them. All they did was to repeat the company policy, which states that the customer has to initiate the refund and not the company. Furthermore, I had ‘agreed’ to the terms and conditions of the company while booking the ticket where, in some sub-clause of a clause, it was mentioned that the customer, and not the company, has to initiate a refund. Finally, I bowed down to the rules of the company and accepted my defeat. The customer care agent suddenly sounded so victorious and so full of confidence on using terms and conditions of the company to defeat my logic. Still, I felt that I had been wronged. All the faith and trust that the company had build in my mind for last 6-7 years came crashing down. Although the company did nothing wrong if we go by the rule-book. And, yes I had signed on the rule-book by which they play the game. Still, this one experience has successfully replaced my trust in them with suspicion. It’s not about the money. INR 7,846 is not big enough an amount for me to bother. It’s about caring for the customer and communicating with him when it is actually required and is of importance to the customer. Next time I might again use the platform to book my tickets, but it will be riddled with caution. A startup, or for that matter any company, may safeguard itself with the fine-print in the “Terms & Conditions” or the “Conditions Apply”, and rightly so. But, a customer looks for transparency in communication. Predictability in the transactions that he has with your organisation. A customer will be happy to read your mails and listen to all your calls if you provide him with the information he needs and not what you want him to hear. If you keep bombarding the customer with all the information that he does not require but hide one information that is of utmost importance to him, you have lost the trust forever. Think about it. Mix-Up! 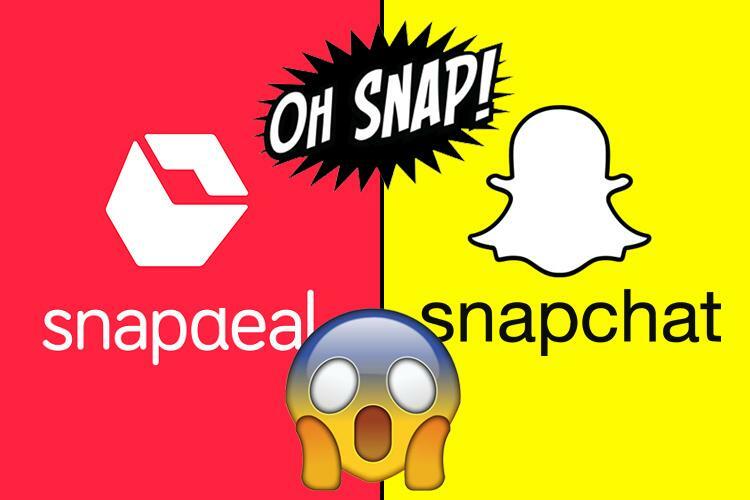 Users Uninstalled Snapdeal Instead of Snapchat. Indians were outraged at the ‘alleged’ comment of Snap Inc. CEO, Evan Spiegel that Snapchat is not mean for poor countries like India and Spain. well, no one is sure that whether he said it or not. But just this allegation was enough for the every charged Indians to start berating the company and its CEO. Thousands of users uninstalled snapchat app and gave it a one-star rating on Google Playstore. The outrage was so high that the Snapchat was reduced to a one-star rating on the store. Bad. The worse was that many un-initiated souls who did not even know what Snapchat is and what it does, started uninstalling what they had on their phone- the Snapdeal app. Now, that act borders on stupidity. This is the second time when Snapdeal have had to bear the users’ wrath on the playstore. The first was when its brand ambassador Amir Khan’s wife made a statement which did not go well with the Indians. The outrage that time started with boycotting Amir but then led to the brands that he endorsed. While I reserve my opinion for a later blog-post, but this is a sad case where one company suffered because of someone else’s ‘alleged-not-proven’ fault. Shocking! After Raising $34m in Funding, this CEO Got Arrested Yesterday! Travel startup Stayzilla, which announced halt of its operations last month, ran into fresh trouble with its founder and chief executive Yogendra Vasupal taken into custody by commissioner of police in Chennai and locked up in Puzhal prison, a source ET spoke to confirmed. According to an email sent by cofounder Sanchit Singhi, Sanghi asked investors of the company to help Vasupal who went ‘missing’ or out of contact after Vasupal last confirmed his location. Started in 2005, Stayzilla recently shut down operations in February to rethink its business strategy. The company that had raised about $34 million across four rounds of funding, counts Matrix Partners India and Nexus Ventures Partners among investors. Which Candy Did Rs 300 Cr Sales In Just 2 Years? Just Amazing. FMCG market is tough to crack. There are hundreds of thousands of products in each category. Launching a new product and making it a star is a daunting task! But one product launches a couple of years ago has done wonders. And, its a candy! 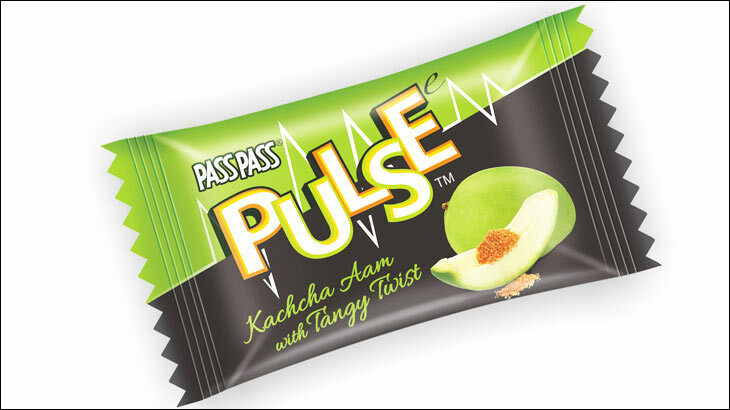 Pulse was launched exactly two years ago by the DS Group (makers of Pass-Pass and Rajnigandha) and has crossed Rs300 Cr in sales since then. Just to put things in perspective, some of the products by much bigger and better known brands don’t even come close to what Pulse has been able to achieve. Oreo. launched in 2011 has done Rs 283 till date and Mars bars, launched in 2011 again has done only Rs 270 crore in sales till date. I am writing a blog on identifying the factors that led to the amazing rise of the Pulse product. Keep tuned in for more. Snapdeal laying off 600 people and the two founders forgoing their salaries has been dominating the startup news headlines since Wednesday. Although a lot of people took the news as a surprise, but had one been following the incidents that led to yesterday’s email from the founders, this should have been expected. Lets see what happened in last couple of months. Jason Kothari was brought in to clean the toxic elements created during the tenure of Rahul Yadav as the Founder-CEO of Housing. To his credit, Jason de-toxified Housing to make it attractive enough for PropTiger to bite in for an ‘all stock deal’- which means peanuts. Within a couple of days of the Housing-PropTiger deal, Jason was announced as the Chief Strategy & Investment officer at Snapdeal. Snapdeal along with Flikart has been finding it tough to get the right valuation for raising the next round of funds that both of them want to raise. While Kalyan Krishnamurthy has been tasked with cleaning up Flipkart, Jason has been brought in to clean up Snapdeal of the toxins and make it attractive enough for investors. Most of the money losing initiatives have either been shut down or are in the process of being shut down. The founders, in their email also stressed on the renewed focus on ‘core’ business and strengths. The ‘core’ here being e-commerce. SoftBank- The thread that binds Housing and Snapdeal. SoftBank was the biggest investor in Housing. It is also a very significant investor in Alibaba too. Alibaba has been flirting with the idea of buying into or buying out Snapdeal for long now. Alibaba also has been the biggest investor in PayTM. And, to make things complex, PayTM also has an e-commerce arm. Alibaba would never like to invest in two competing companies (it might have done so in 2014-15, but today the story is different). Sometime back, PayTM did spin off its e-commerce platform into separate business from its payments business (or vice-versa). Opportunity for Alibaba, SoftBank, PayTM & Snapdeal. The current situation presents a ripe opportunity for all the parties involved. Snapdeal has an opportunity to set its house in order, Alibaba has a wonderful opportunity to enter one of the biggest e-commerce markets in the world via PayTM investment and set up a head-on clash with Amazon for the long pending battle of ‘South-East-Asia’ between Amazon and Alibaba (Alibaba has already started digging in its heels in the SEA market with the Lazada investment). Not an Insider News. Not even a rumour. My own views. All the events discussed above are either factual and have led to where we are today or logical and plausible extension of the same into the future. I strongly feel the events in the future will go the way I have spelled out. If not, the involved parties might want to use this article as a food-for-thought for chalking out their strategy. Last evening I was sitting with my team (mostly comprising of your just-out-of-college grads) at a bar near our office. One topic led to another and we started discussing on how important it is for someone in today’s world to keep updating and polishing his/her skills. The discussion reminded me of a story I heard a long time ago. Thought of sharing it here with the readers. This is a story of a young lad who starts his career as a lumberjack. No, not the lumberjacks we have these days with chainsaws and all other machines, but with a modest axe- yes like in the good old days. Like any another youngster, he was full of energy and bursting to seams with enthusiasm on his first day at work. He wanted to work hard, work long and make a lot of money. The lad started his first day by working 8 hours and chopping four large trees. For every tree chopped, he got $10. “40 dollars a day are not going to take me anywhere, I need to earn much more than this” he thought. Next day, he started early and worked till late. Working 12 hours, he chopped six trees. “60 dollars is good, but still not what I am looking for. I need to work harder and longer”. Third day, the young lad started even before sun had risen and worked till there were stars in the sky. He managed to chop eight trees. So, to achieve more, next day he started even earlier and worked 16 hours straight. To his surprise and shock, he could chop no more than eight trees! Next day he tried even harder, but was again stuck at eight. He tried even harder the next day, his number was still stuck at 8! Dejected and confused the young lumberjack was walking his way home. On the way he met an older lumberjack who had been in the trade since last 25 years. On asking what the matter was, the young lad told his story. “I am working so hard, working really long hours, still not able to increase the number of trees cut beyond 8”. “So, you work for 14-16 hours straight, still stuck at 8 trees a day. 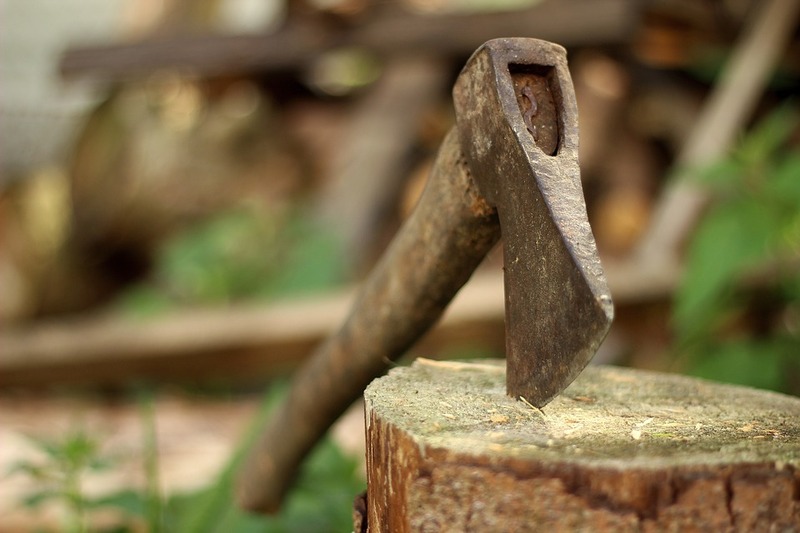 Ever thought of taking an hour’s time to grind your axe?” said the experienced lumberjack and walked away. Almost every one from my team looked at smiled at me. Hope, now they understand the importance of continuously upgrading, sharpening and polishing their skills. Every one, including me should!